I keep finding myself saying “we don’t come here for a sun tan” but after day 2, I’m a bit burnt. For those who haven’t been to the Hebrides, it’s no surprise to be greeted with driving rain and howling winds. But, we’ve been lucky. Ish. We arrived to a rainy Port Askaig but the rain did give up and gave us a great few hours on the small beach at Port Charlotte. Day 1 and the rain was atrocious. Nevertheless, a trip to Bowmore’s community swimming pool (in the shadow of the distillery, and heated by their waste water) entertained the kids, and then a rush visit to Port Ellen (homage to hallowed distilling grounds) and Ardbeg (Kildalton bottling) were in order. 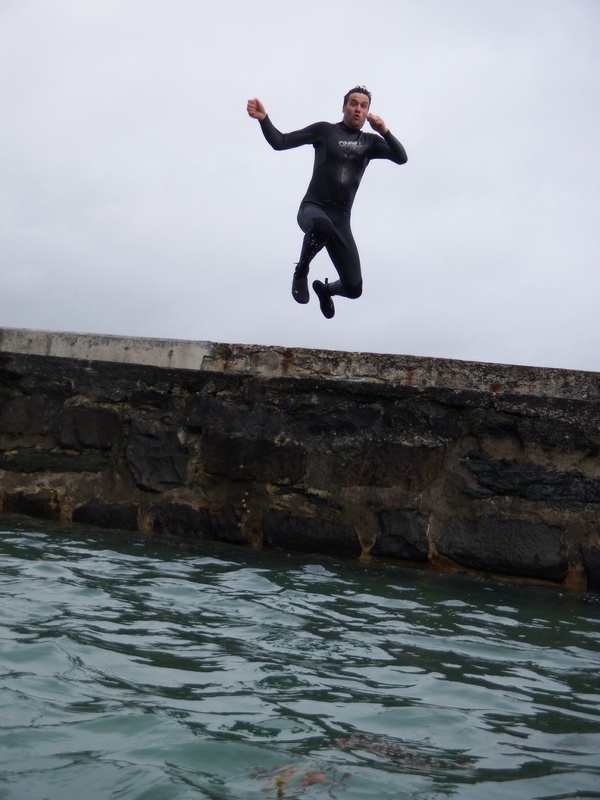 The crowning glory of the day though was a break in the weather which gave us a chance to don wetsuits and jump into the beautifully clean sea at Port Charlotte. One of the top “wild swims” in the UK, the sea here is spectacular. Bracing, yes. Clean, yes. Wet and happy, we returned home for beer, wine and of course, whisky. Day 2 and the promise of good weather. 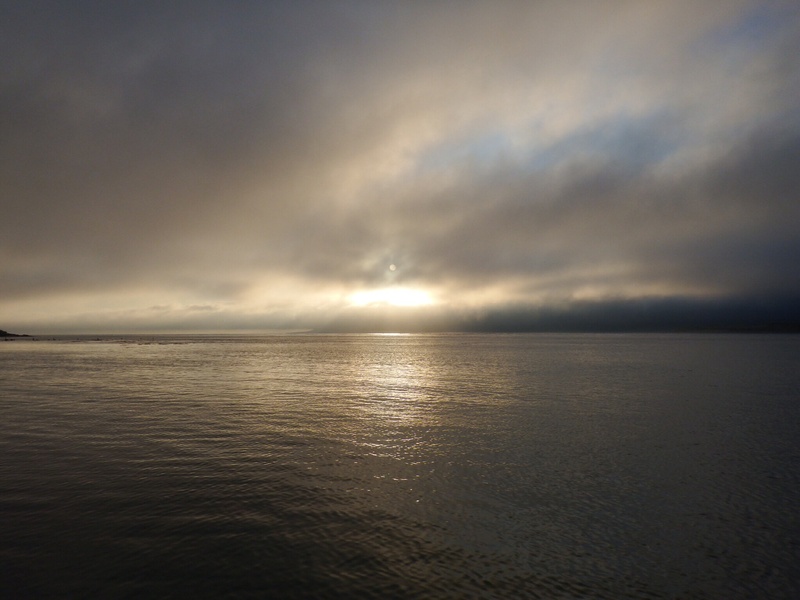 Up at 5 am, WinesandWhisky and I set off to secret fishing grounds and watched the sun rise whilst waist deep in sea water. Company was a snack bar, aggressive cows and a seal which occasionally popped its head up to see what we were doing. 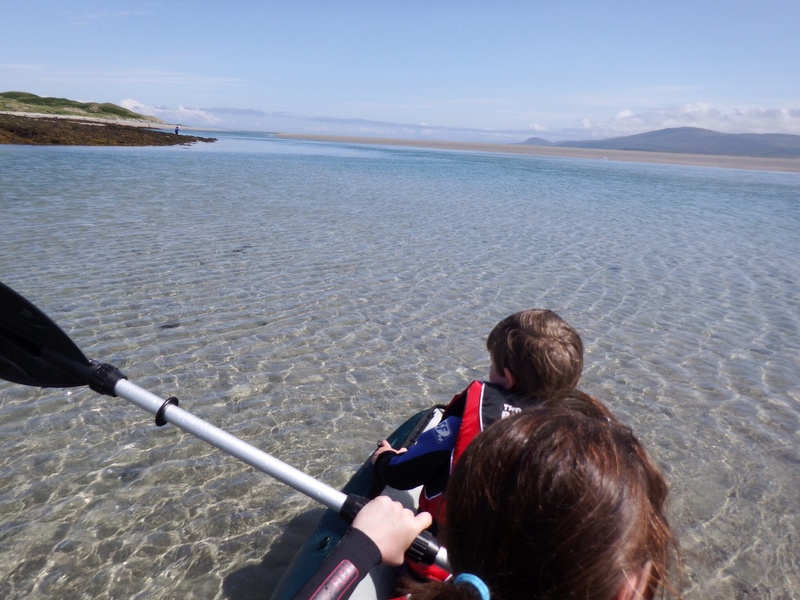 Nothing caught, we returned to Port Charlotte for a nap..
Once family were up and ready, we set off for a customary Loch Gruinart visit – complete with kayak, picnic, buckets and spades, (and a hip flask of Arbeg Uigeadial). It was great to swim in the water (between tides) and again, a curious seal kept its distance but showed its presence. At about 3pm, we set off to Caol Ila for a special visit. Unfortunately, Caol Ila don’t allow pictures inside the distillery, however the view (across the Sound of Islay to Jura) is quite spectacular. Caol Ila did us proud – extremely friendly and welcoming, and with a passion for their whisky that (most) Islay distilleries have. We started with an unusually good new make spirit then into their unpeated expression, which was simply fantastic. A lovely everyday dram which I will happily purchase. Then, onto their base dram, 12yo. After this, the only “miss” for me – 25 yo. Just didn’t have the punch and depth of the others. Shame. 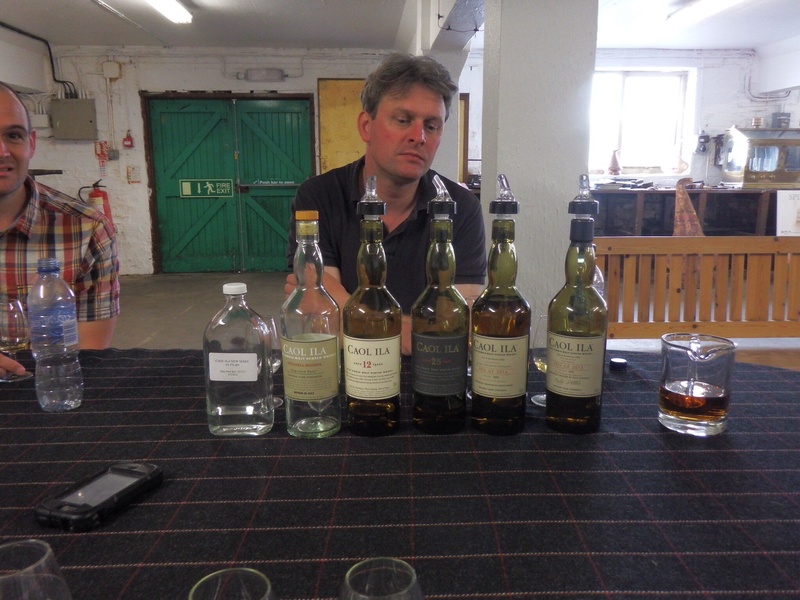 Caol Ila came back strong though – their Feis Ile bottlings for 2013 and 2014 were quite simply outstanding. Big, bold and complex. Just how I like my Islay whisky. Great, great drinks and a crying shame they are still on sale (considering their low production count). Finally, their crowning glory: a straight from the cask 25 yo plus, sherry cask Caol Ila. Not only did this look great, but it tasted sublime and smelt glorious. Wow. We left Caol Ila happy. Very happy. 2 days into Islay and I really appreciate what “Islay Time” is.